"An excellent advocate who thinks of his cases from every possible angle and has often already figured out what the other side are going to say before they say it." "Calm, extremely smooth and steely." 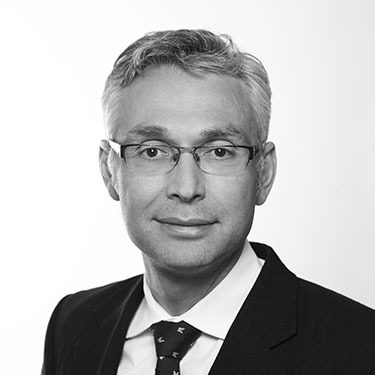 Stephen’s work focusses on complex financial remedy cases and the linked jurisdictional issues. His practice in silk is built on years of work at the highest level as a junior. Recorder, sitting in the Family Court. Stephen graduated from Oxford in 1989 and took a doctorate from Oxford in 1992 before reading for the bar. Described in Chambers and Partners 2016 as a ‘formidable opponent’ who is ‘well read in to the papers ...extremely numerate and very clear’, Stephen is nonetheless praised for being ‘disarmingly polite and relaxed’. The Legal 500 said of Stephen in 2016 that he ‘presents his cases with exceptional care and forethought, and is a very safe pair of hands’. Chamber and Partners 2018 said "He's a very intelligent and cerebral family lawyer. He's got a big brain and a lovely measured delivery in the courtroom, and he's really good on technically demanding cases where the law and precedent are important." Stephen is married with three children. He lives in London.